We anticipate happiness in our golden years. After an era of labor, we finally get to kick back, rest, and enjoy the rewards of our labors. Many people, however realize that when they get to senior citizen age that they now need to move. Perhaps it is because they do not need the space in their Oklahoma City home with their children grown-up and moved out, maybe it is because they're now living on a fixed income, or maybe they just want to finally settle down in that tropical climate they have always dreamed about. 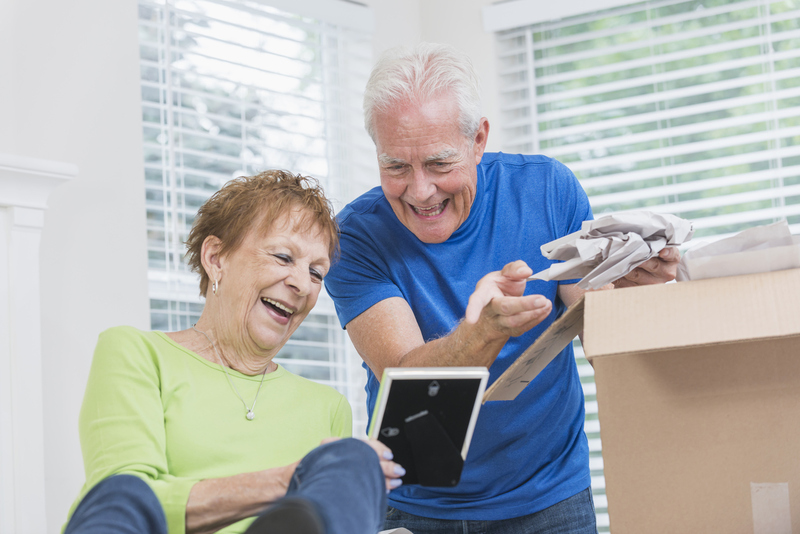 Whatever your reason for moving after you attain retiree status, it's imperative to give the task some careful consideration. One benefit of being a senior citizen is that you’re no longer constrained to the same schedules as people who need to work. You need to go to the grocery on a Wednesday morning? You can because, you are the master of your schedule. Want to take in a movie matinee while everyone else is at work? Enjoy the motion picture! And should you have to move, then you have the opportunity to do so off-season, when cost and demand are at their lowest. Warmer months are the most busy for moving for many reasons (warm weather, children are out of school, etc. ), and thus it's also the most expensive time of year to move. The months before or months after this peak can save you money. The more time you live in your home, the more stuff you accumulate. Everything, from clothes you haven't worn in years, to papers from a job you barely recollect, fills in the crevices in your home. So, before you move, clean house. A good rule of thumb is to ask whether you've used the item in the last five years. If you haven't, you probably don't need it. So, throw it away, donate it, give it away to friends or family, but if you don't need it, don't move it. Moving isn't something you should do last minute, especially not when you're retireed. You need to take your time, do some investigating, and ensure you have everything shipshape. You need to know your ultimate desired destination, how you’ll get there, if you should hire a professional Oklahoma City mover, your timeline, and last but not least, you need to have the costs figured out to the penney. And, just to be extra cautious, you should have a different game plan in place, just in case something fluctuates, or doesn't work the way you want or need it to. Planning is when you write out your agenda; preparation is when you start getting ready. When you start preparing for a move, you're paring down your belongings, setting aside cash for the moving expenses, deciding when to put your house up for sale, etc. Preparation is a vital step in a successful move. Moving is not something be done in a rush. Decisions need to be weighed carefully, and you should have all the information on-hand before deciding on anything. Beyond that, you should make sure you have plenty of time to prepare and resolve any loose ends that remain before you say goodbye and head off to your new home. You don’t have to rush, so go at a clip you're comfortable with. Not sure where to start? A-1 Freeman Moving Group in Oklahoma City is standing by to help you every step of the way. Click below to get started.